The popularity of Rogue kept going up throughout the Witchwood meta. At Tours, it surpassed Druid and became the third-most popular class. Tours was mostly business as usual. However, we did see some variety in the ranks of Paladin and Druid, with other archetypes than Even Paladin and Spiteful Druid finding representation, and Warrior was once again home to multiple different approaches to control – including Fatigue Warrior, which had not seen tournament-level play in a while. Paladin solidified its lead. 211 Even Paladins and 10 Murloc Paladins entered the tournament, and everyone in the top-16 brought Paladin: 15 Even Paladins and one Murloc Paladin. Warlock remained split between Cubelock (144) and Control Warlock (63). Control Warlock lineups did well at Tours with 54% win rates in Swiss compared to the 50% of Cubelock lineups – but the prevalence of Cubelock meant that it was part of very diverse strategies. 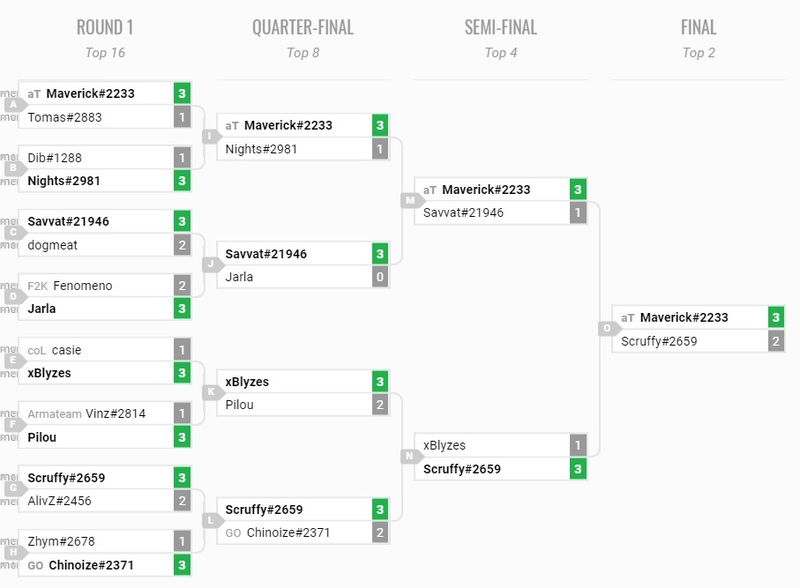 There were 9 Cubelocks and 6 Control Warlocks in the top-16. 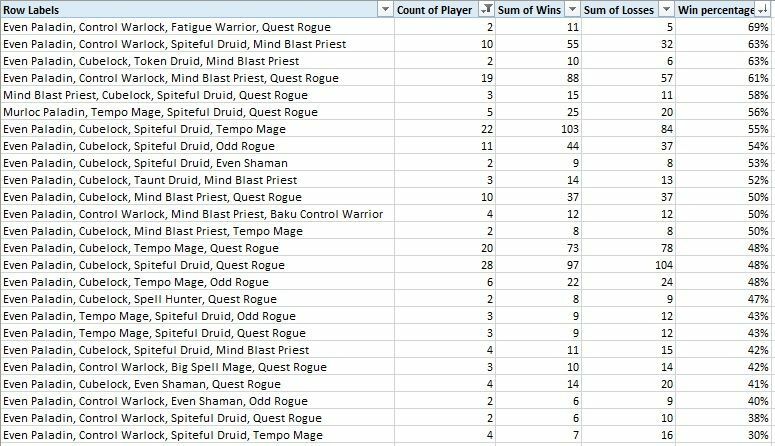 Rogue became more popular than ever with 115 Quest Rogue in the tournament – half of the players brought the archetype – alongside 34 Odd Rogues and 3 Miracle Rogues. 9 Quest Rogues reached the top-16 alongside 2 Odd Rogues. Druid was once again dominated by Spiteful Druid (116) followed by small contingents of Taunt Druid (12) and Token Druid (4). 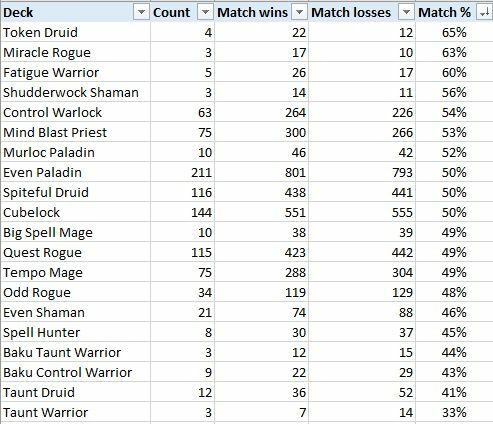 6 Spiteful Druids and 1 Token Druid reached the top-16 with Token Druid lineups being the overall best-performing lineups in the tournament: the 4 players who brought it had a combined 22-12 match win-loss record in Swiss. Mage was mostly Tempo Mage (75) with a few Big Spell Mages (10) sprinkled in for good measure. Neither archetype saw a lot of general success, but 8 Tempo Mages reached the top-16, so some Tempo Mage lineups worked very well. 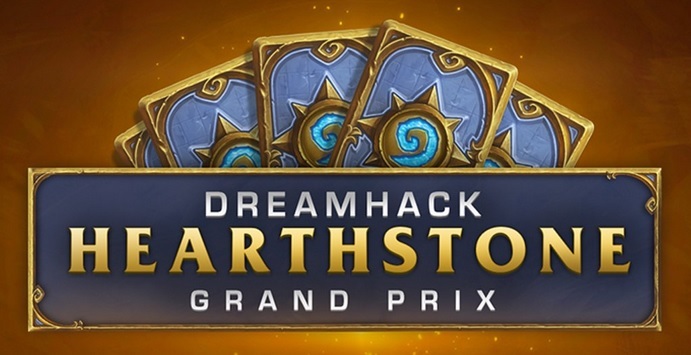 Four players reached the top-16 with Even Paladin-Cubelock-Tempo Mage-Quest Rogue, but overall the lineup, brought by 20 players, did not perform very well. Priest was all Mind Blast Priest (75). 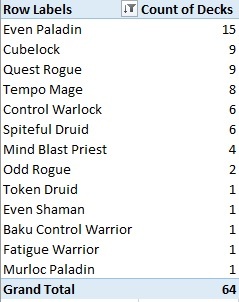 While the archetype enjoyed decent performance overall, it lacked peaks, with only 4 players reaching the top-16 with it, each one with the trio of Even Paladin-Control Warlock-Mind Blast Priest in their lineups, with the final deck either Quest Rogue, Spiteful Druid, or Baku Control Warrior. Year of Even Shaman did not arrive in Last Hero Standing, where 1 of the 21 Even Shamans reached the top-16. None of the 3 Shudderwock Shamans made it, although their combined 14-11 match win-loss record in Swiss was not bad. Warrior was the biggest surprise of the tournament. It was split between various control approaches again: 9 Baku Control Warriors, 5 Fatigue Warriors, 3 Taunt Warriors, and 3 Baku Taunt Warriors. Everyone else generally did poorly except for Fatigue Warrior, which boasted a solid combined match win-loss record of 26-17 in Swiss – mostly carried by Maverick though, who had a 16-2 game record with his deck. Top-16 was reached by 1 Fatigue Warrior and 1 Baku Control Warrior. Hunter was unable to find any success. 8 Spell Hunters, none of them made it to the top-16.